While I love fancy cuisine and tasting menus with exquisite flavours but tiny portions, sometimes I just want a hearty home-cooked meal that’s both filling and satisfying. I want good service that’s not suffocating and I want to feel comfortable where I’m sitting, not like I need to sit up straight and watch my table manners for fear of being thrown out. 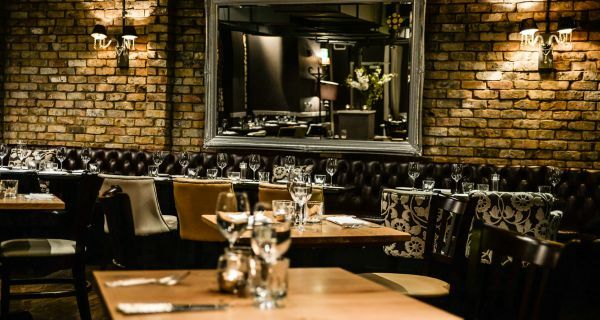 Just when I was beginning to fear that sharing plates and tasting menus were invading London, and I might have to turn my own oven on if I wanted a remedy, I stumbled across Minster Court, which is a Balls Brothers bar and restaurant in the heart of the city. It’s not easy to find – right in the centre of a courtyard off Mincing Lane – so part of its appeal is that not too many people know about the treats that lie in store there yet. At the time of our visit, it wasn’t too busy so my sister and I settled into the soft comfy chairs (like armchairs) and felt like we were at a home away from home. One of the best ways to relax when you get home after a busy day is with a nice drink, isn’t it? The wine list is long and there’s a good selection of Champagnes by the glass (always important) but we decided to try the cocktails. I always think you can tell a lot by a bar’s cocktails as if they’re strong it’s a sign the place is generous and if they’re tasty it’s a good sign of the food to come. 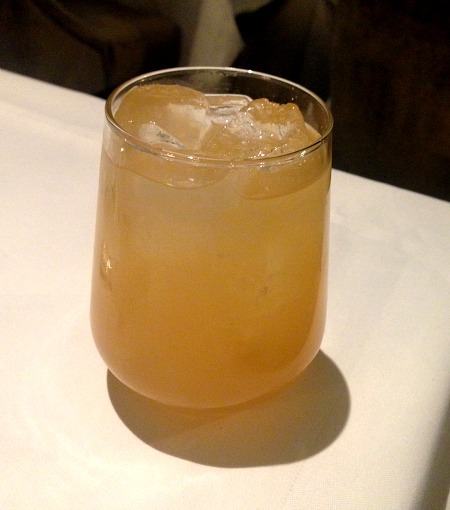 Our favourite was the Sherry Cobbler, which is a mixture of Sherry, Bourbon, Cointreau and orange bitters. The cocktail menu says this was the most popular drink of the 19th century and one sip showed why as it’s fruity but not too sweet. An interesting fact is this drink is credited with popularising the drinking straw. 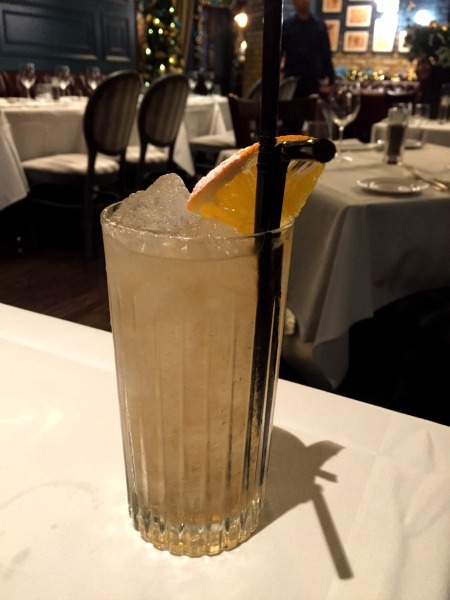 We also tried the Regent’s Punch, which was created by King George IV, while he was known as Prince Regent and is a strong mix of rum, Courvoisier, orange curacao, Ceylon arrack with various fruit juices and finished with cava. Any more than two short glasses of this would be enough to knock even a cocktail lover like me to the floor. It looks so simple but never judge a glass by its appearance! 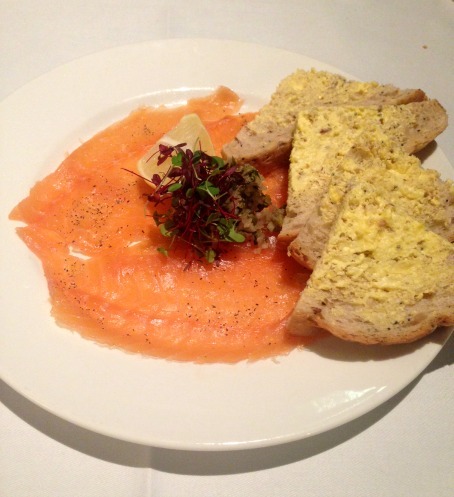 Afterwards, we were in desperate need of something to soak up the alcohol so we ordered smoked salmon to share. We both have a sweet tooth so we thought we’d share a starter to save room for later and we picked a good one to indulge the ‘home away from home’ feeling. Smoked salmon with thick slices of generously buttered bread reminded us both of a special weekend tea that our Grandma used to serve. 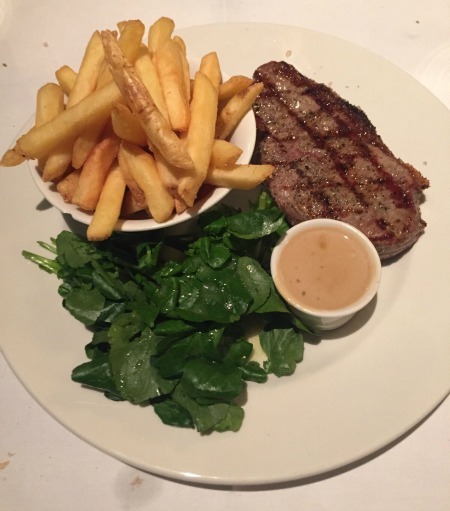 My sister can never resist a steak so she ordered fillet steak, which was just as rare as she asked it for. 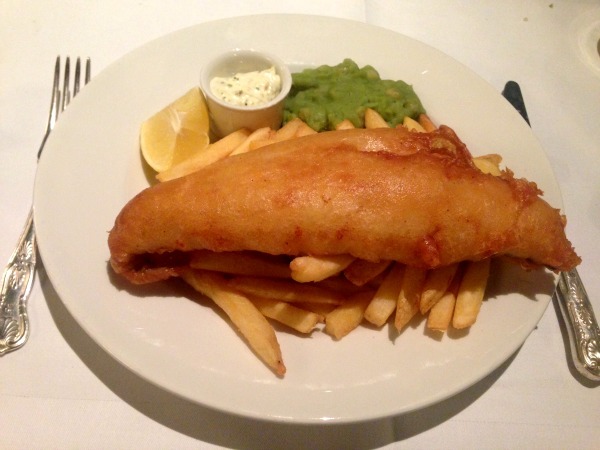 I had a beautiful portion of fish and chips, which was better than any fish and chips takeaway I’d ever had at home. The batter was light and fluffy and the fish inside was succulent and soft, falling apart as the knife touched it. Both of us cleared our plates. Sadly this meant we were too full for dessert, which were all hearty classics like chocolate fondant, sticky toffee pudding or apple crumble. So we ordered a cocktail to help us digest everything and I highly recommend the Shaky Pete’s Ginger Brew, which is Beefeater Gin, London Pride, Lemon and Ginger Syrup. Ginger is good for the digestion – something we also learned at home as our Grandmother used to offer us dark chocolate coated gingers after dinner. If you want a luxurious, but cosy night out at affordable prices then Minster Court is the answer. Visit the Minster Court website for menu, location and opening hours.